A launch of a new makeup brand, for example, might involving inviting Instagram users to post pictures, teasers on Twitter, the creation of infographics for Pinterest and cover pictures for Facebook. De Preval gave the example of an upcoming campaign for Touch Eclat, a popular highlighter product. The company talked to bloggers around the world and created videos of their vision of how they were going to use the makeup, how they selected shades, and so on. The videos will be not only posted on YouTube and Facebook, but also shown in the retail stores at the point of sale. One of the company’s key goals is to create a seamless experience between the offline and online worlds. An example of this is a recent campaign for YSL’s new Vernis à Lèvres glossy stain lip line. It included the installation of interactive hardware in Heathrow’s Terminal 5. Using the Microsoft Kinnect technology, visitors could “throw” different colors to create “their artistic vision of color.” You can play an online version of the “splash” at the YSLExperience.com web site. They co-organized an event at Heathrow with Facebook where people could get free samples of the product. The company has also created an iPhone application called “Color Mirror,” which involved close collaboration between a startup and the company’s makeup artists to ensure that the result was as close as possible to real-life. Another startup mentioned by De Preval was Tigerlily, a social media content manager for Facebook that YSL uses internationally. 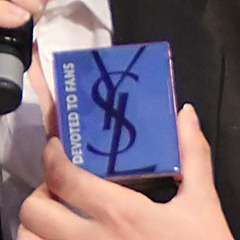 The campaign will be using the hashtag #devotedtofans and more information will be available on the YSL page on Facebook. Timo Elliott is an Innovation Evangelist for SAP and a passionate advocate of innovation, digital business, analytics, and artificial intelligence. Will Data Analytics Lead To Breakthrough In Cancer Treatment?